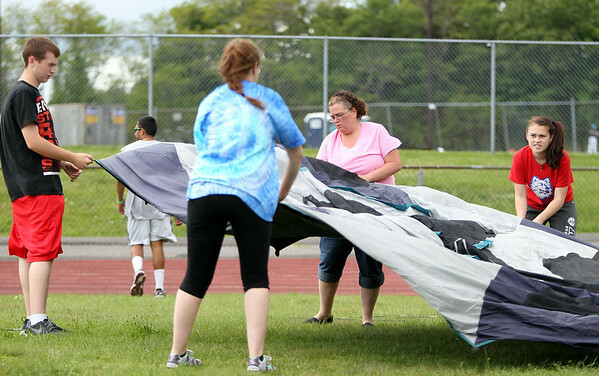 From left, Will Scully, Brianna Swan, Melissa Swan, and Alex Schwartz, all of Salem, set up their tent at the Peabody High School Relay for Life on Friday afternoon. Melissa Swan walked last year as a survivor and vowed to return for the whole event this year. DAVID LE/Staff photo. 6/6/14.